There was a three-way tie for 1st place in the 2018 Welsh Rapidplay Championship between Ian Jones, Tom Brown and Jonathan Gilbert with 5/6. Fourth with 4/6 were Tim Kett, Matthew Staniforth and Rudy van Kemenade. Congratulations! The Minor was won by Alun Smith with an impressive 5.5/6. The WCPL Round 4 games can now be downloaded from the Games page. The very first edition of First Rank (which is the result of coorporation between ECU Education and Chessplus.com) can be viewed here. Attention all Club Secretaries in Dyfed, East Glam, Gwent and North Wales! Between 19th and 23rd August, the International Correspondence Chess Federation (ICCF) Conference will be held in Llandudno. 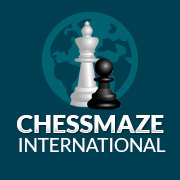 Therefore, the Welsh Correspondence Chess Federation (WCCF) would like to use this opportunity to engage with chess players in North Wales regarding over-the-board events to be held during the conference and information can be found here. St Teilo’s Church in Wales High School hosted the 2018 South Wales mega-final, played on Saturday 21 April. Qualification for the giga-finals has been revised, with 3.5 points or more now good enough for progression to the giga-final. The March 2018 ECU newsletter can now be downloaded from here.